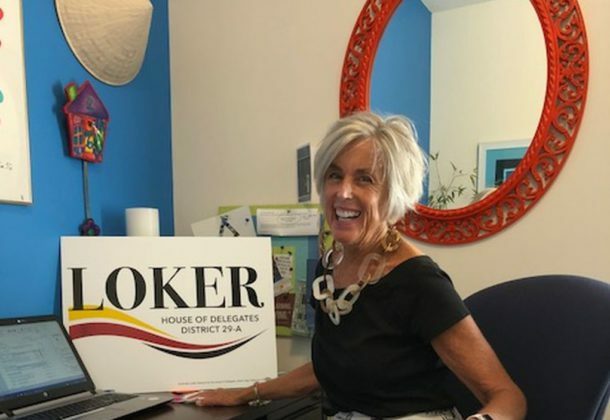 Roberta “Robbie” Loker is a Southern Maryland jewel. Ask anyone who has met her. She is upbeat and hard working and wants to see everyone safe and happy at the end of each and every day. Really. She is like that. And she is running for Delegate in northern St. Mary’s County Delegate District 29A. We’ve got to stop the name calling and finger pointing. No D and R.
St. Mary’s can do better! She would like your vote. Here’s why. 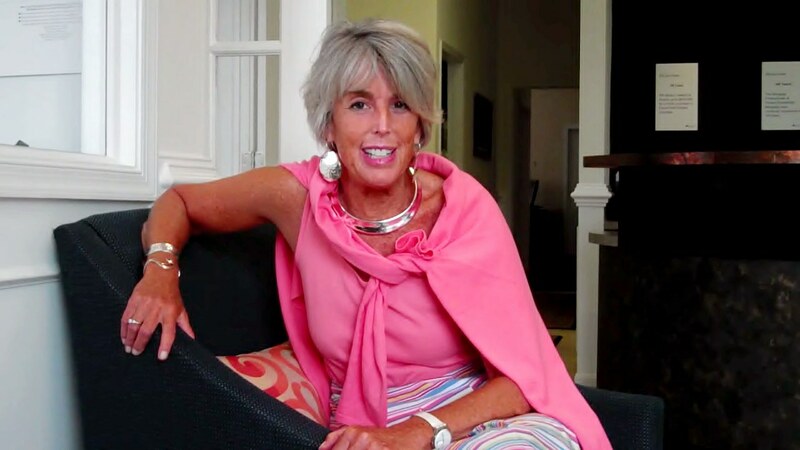 For 30 years Robbie, as she is universally known, managed programs to strengthen families and individuals working with the Maryland Department of Social Services. She worked in St. Mary’s, Charles and Prince George’s counties. The experience provided her keen insight into the cumbersome bureaucracy of Maryland government. And into the genuine needs of every day, working, and struggling Southern Marylanders. For the past decade she has worked in the mortgage industry, she sees first-hand the struggles families face to achieve and maintain home ownership. Her specialty is reverse mortgages, helping Southern Maryland senior citizens remain in their homes or turn their houses into the retirement income they need. We need leaders who don’t separate us from one another, but who bring solutions forward to help everyone. 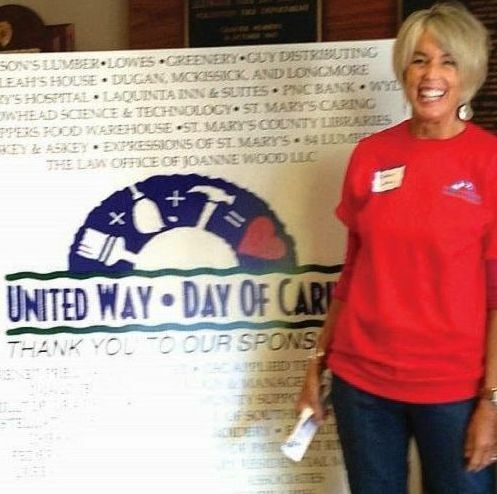 Past Board Chair, United Way of St. Mary’s County Inc. Chair, Health Share of St. Mary’s County Inc.
I’ve spent my life working and serving in Southern Maryland. It’s exciting to work toward a new kind of service as your Delegate in Annapolis. The support and encouragement I’ve received makes it clear, St. Mary’s is ready for a positive change. I am convinced, with your support, we can accomplish that together. Chairs of United Way’s annual Day of Caring. Robbie was Chair in 2016. You can see her standing on highways, waving, picking up the odd piece of trash. You can see her at your church dinners. Most definitely you can find her at any community meeting in 29A she hears about. I want to meet everyone. Delegate District 29A includes voters who live in the northern third of St. Mary’s County in such communities as: Leonardtown, Loveville, Chaptico, Golden Beach, Laurel Grove, Mechanicsville, Country Lakes, Breton Bay, Abell, and the legendary 7th District, once known as Maryland’s Barbary Coast. Robbie has worked and volunteered, and helped, and befriended thousands of members of all of these communities. Robbie was born in District 29A and still makes her home here, in Chaptico, with her husband Keith and their rescue dog Sammy. I ask for your vote Nov. 6. I pledge to carry to Annapolis our needs and expectations. I will foster partnerships to fix any problems we face. St. Mary’s County Chamber of Commerce greets MD Comptroller Peter Franchot. Authorized by the Loker, Roberta for the House of Delegates, Keith Loker, treasurer. Wed, 9 Mar 2016 - How’s Steve Richman? Not a Problem in the World! Mon, 22 Jul 2013 - PRMI Offers Widest Selection of Mortgages in So. Md.